Can u trade me pokemon? 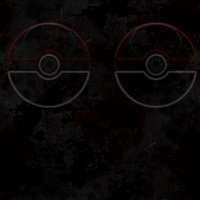 how can i level up my pokemon? Can some one trade there pokemon with me pleases!!!! you can train your pokemon by battling other trainers in your game or use rare candies but beware rare candies make your pokemon weaker then they should be. clampearl are you beginner at pokemon games ? No I'm not im played pokemon for 11 years. Are you talking about evs? Huh. So what's up for trade, then? Lets see i need shaymin,lunastone,solrock,and spheal . I can trade all but Shaymin. What are you offering for them? and does any one else have 2 Darkrai and 2 cresselia and 2 giratina and 2 palkia like i do? Yup. plus 2 Regigigas, 2 Rotom, 2 Heatran. Subject: Re: Can u trade me pokemon?